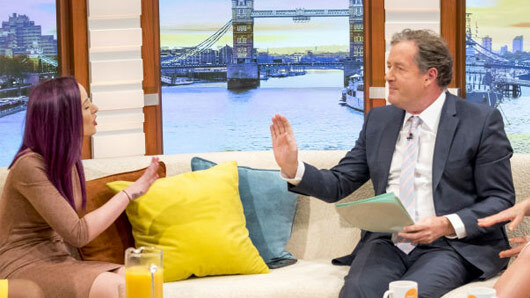 Sarah Louise Bryan has branded Piers Morgan a “vicious bully” after he reduced her to tears on Good Morning Britain. It all started when presenter Piers condemned the mother live on air for charging a fellow parent for pen marks left on her three-year-old’s £325 shoes. The GMB guest quickly became emotional, telling the host that she has be unfairly attacked for trying to put her point across. Sarah has since lashed out at Piers, labelling him a “vicious bully” who has “no balls”. She added: “Producers and people were apologising for what had happened. “Piers is a vicious bully who is trying to be controversial – but as far as I am concerned, he has no balls. Piers later took to Twitter to defend himself against these claims. He wrote: “She reduced herself to tears to deflect from being held to account for her absurd behaviour.